YouTube is celebrating its Sixth birthday today, which has more than 3 billion page views per day, it is increased 50% more than last year. Google announced that more than 48 hours of the video is uploaded to YouTube every minute. Even Google making new features to upload faster and increasing video length limits and homepage modifications and more. YouTube is founded on Feburary 14 2005 and in May 2005 the company launched YouTube.com. Search Giant Google bought YouTube in 2006. Now Google launched live streaming business in Youtube Live and it launched Full Movie Rental services few weeks back. If you like this post, Share it to your friends. Dont forget to Subscribe our Feeds, Follow us on Twitter and Facebook. 3 billion pages views is staggering! 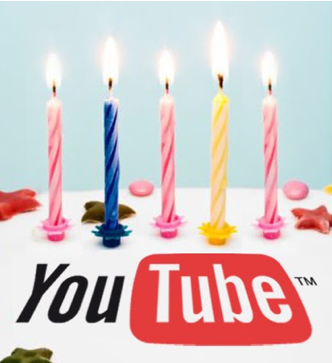 happy birthday youtube!